‘No more silence. No more waiting. 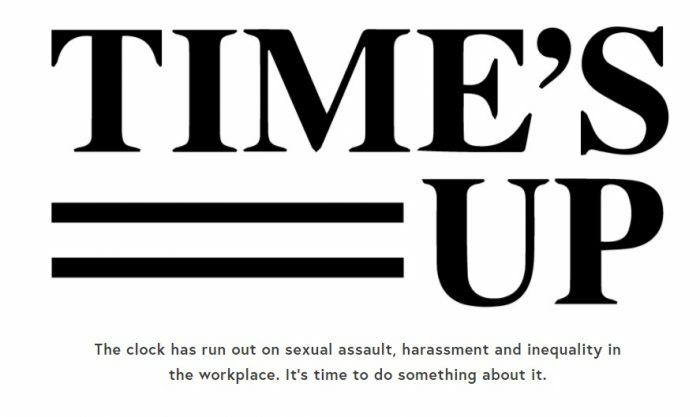 No more tolerance for discrimination, harassment or abuse.’ Addressing sexual misconduct and gender inequality at workplaces, more than 300 artists from the entertainment industry in the US have come together to launch Time’s Up. Hollywood celebrities Reese Witherspoon, Shonda Rhimes, Kerry Washington, Dakota Johnson, America Ferrera and Eva Longoria along with lawyers like Nina L Shaw and Christina M Tchen launched Time’s Up on January 1 to express solidarity with all those who face sexual harassment or gender inequality at the workplace. It is an initiative to fight gender-based violence across professions — from farmers to factory workers. In order to provide subsidised legal support, Time’s Up has set up a Legal Defence Fund which would accept contributions from people supporting the initiative. Further, the members of the group have urged all women to wear black to the 75th Golden Globe Awards — to be held on January 7 — in order to raise awareness and speak against gender as well as racial inequalities. Earlier, renowned Hollywood actress Meryl Streep said that she would wear black to the event in solidarity with all the survivors of sexual abuse and assault. Quoting facts and figures, the website brings forth the ‘pervasiveness of sexual harassement’ and the ordeal women face at their workplaces dominated by men. After actress Ashley Judd accused Harvey Weinstein of sexual misconduct in October last year, it opened a floodgate of sexual assault complaints against powerful men in the entertainment industry. A lot of sexual abuse/assault survivors came forward with their experiences and named celebrities like Kevin Spacey and Dustin Hoffman as their sexual predators. It was followed by a worldwide #MeToo campaign with women and men all over the world sharing harrowing experiences. By making the revelations, they sent a powerful message that the shame wasn’t theirs. According to the website, in November, the National Farmworker Women’s Alliance wrote a letter to Hollywood’s brave survivors to show their solidarity. 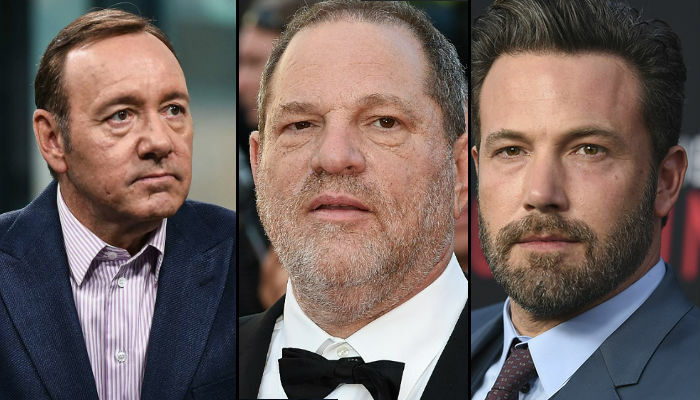 Acknowledging their privilege of having a platform to voice their ordeal, Hollywood celebrities and lawyers launched Time’s Up to render the lesser-privileged victims/survivors a platform and legal support to fight against perpetual sexual/racial misconduct. The struggle for women to break in, to rise up and to simply be heard and acknowledged in male-dominated workplaces must end. time’s up on this impenetrable monopoly.